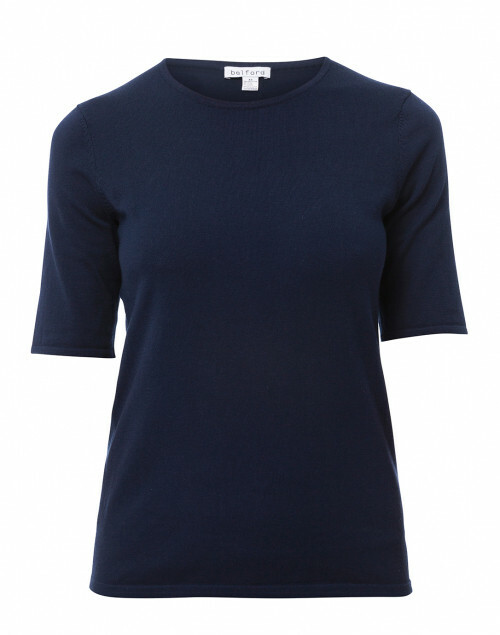 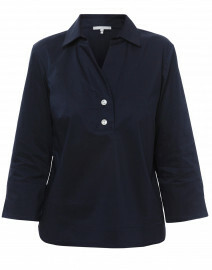 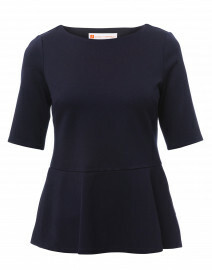 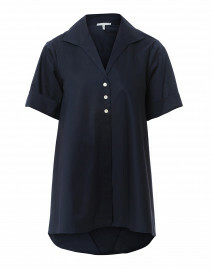 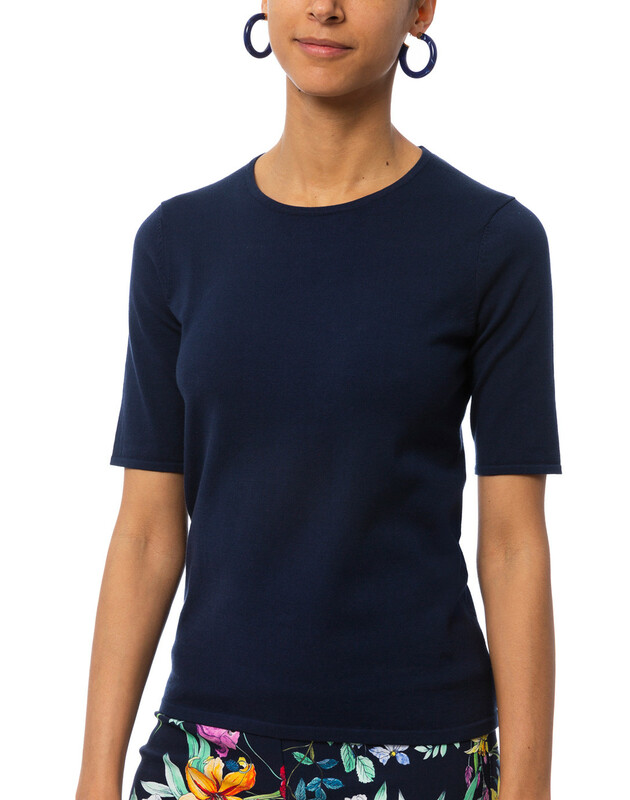 Add interest to your wardrobe with this casual, chic stretch cotton top from Belford. 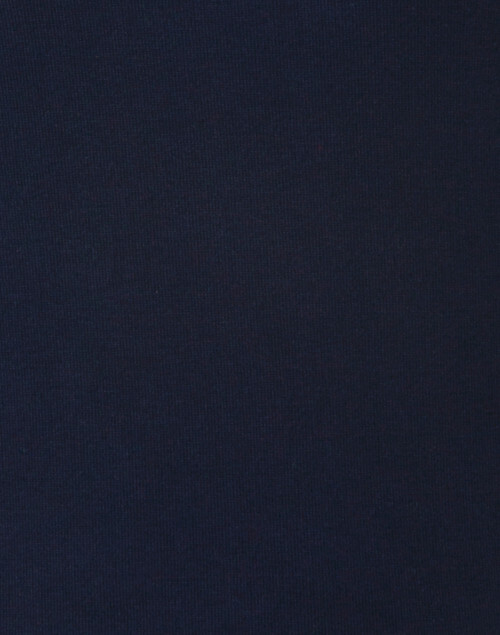 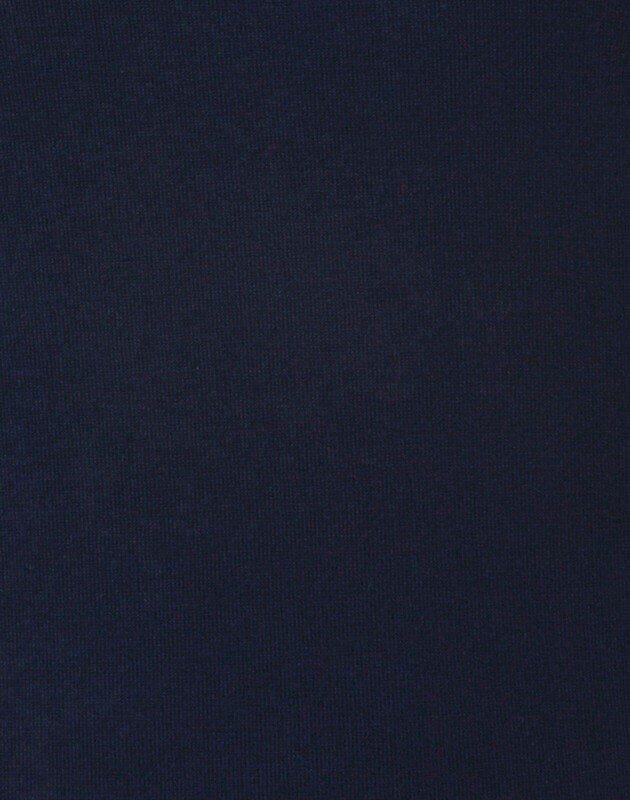 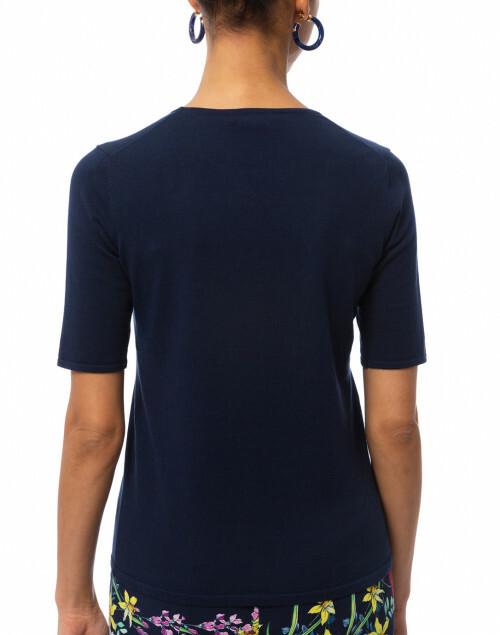 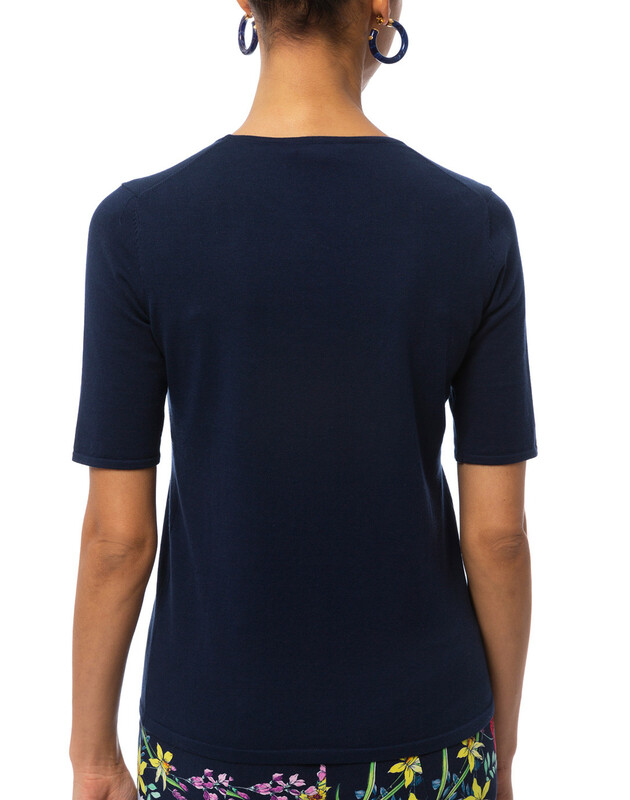 The pullover comes in a classic navy color that you can wear time and time again. 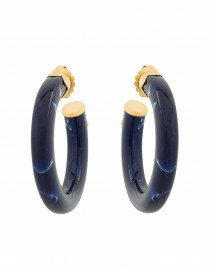 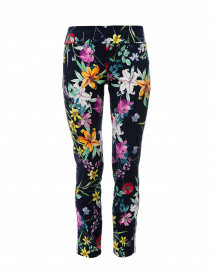 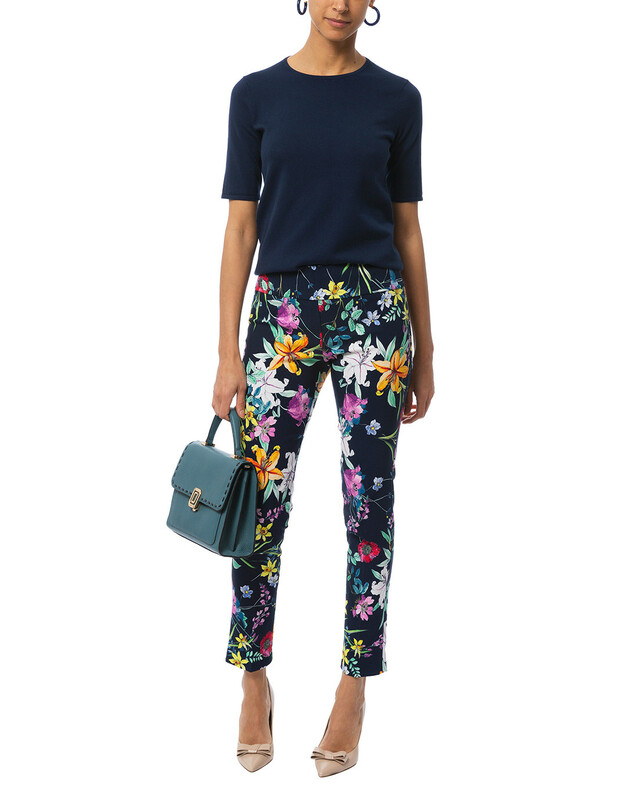 Pair yours with floral printed pants for a feminine, elegant look.